Should You Withdraw 4 Percent for Retirement? Or Only 3 Percent? How much money can you safely withdraw from your retirement portfolio? Until recently, the commonly accepted rule of thumb said to withdraw 4 percent each year. However, now experts are stating that 3 percent might be better. Why Is the 4 Percent Rule so Popular? 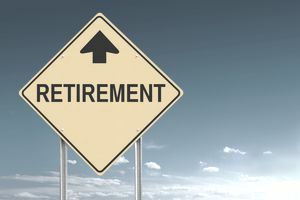 A 1994 study by financial advisor Bill Bengen showed that the principal investment of retirees who withdrew 4 percent from their portfolio each year, stayed mostly intact. By keeping a conservative portfolio that produced enough yearly returns, they were able to keep pace with inflation. Yes, the principal will dwindle over time. However, it happens at such a slow pace that the retiree is statistically likely to maintain his portfolio throughout his life. For decades, 4 percent has been the standard protocol in determining how much you need to save for retirement. A $1 million retirement portfolio will land you a retirement income of $40,000 per year ($1,000,000 times 0.04 equals $40,000). A $700,000 portfolio will land you a retirement income of $28,000 per year ($700,000 times 0.04 equals $28,000). However, the market returns of the past are making investors question the 4 percent rule. Some financial advisors worry that 4 percent is too aggressive of a withdrawal rate. As a result, many now recommend a 3 percent withdrawal rate. Why? Two reasons: inflation and lower portfolio values. What Does Inflation Have to Do With It? When Bengen performed the benchmark 4 percent study in 1994, the return you could get from conservative investments like bonds, CDs, and Treasury bills was decent. Then, in April 2012, the return on these conservative investments was next to nothing. At the same time, inflation was also next to nothing. It's appropriate that "safe returns" are aligned with inflation. In other words, returns relative to inflation are similar, even though the raw numbers have changed. But what happened in 2012 wasn't normal, and recent years have continued with this trend. However, interest rates can't stay this low forever. There's a chance that inflation could rise within the next few years as a result of such low interest rates. If that happens, there's also a chance the returns on safe/conservative investments won't keep pace with inflation. In this case, 4 percent might be too aggressive of a withdrawal rate. What About Lower Portfolio Values? The value of your portfolio is volatile. It depends on how well the market is doing. If you adhere to the 4 percent rule, you'll adjust your lifestyle based on market volatility. For example, during a bull run, your portfolio may stand at $1 million. That means you'll live on $40,000 per year. During a market tumble, your portfolio may sink to $850,000. If you adhere to the 4 percent rule, you'll only have $34,000 to live on that year. What happens if you can't live on less? If you need $40,000 to pay your bills, you'll end up selling more of your portfolio when the market is down. That's the worst time to sell. That's partly why today's financial advisers are telling people to plan for a 3 percent withdrawal rate. This advice follows the idea of "hope for the best, plan for the worst." Plan your necessary expenses at 3 percent. If stocks tumble and you're forced to withdraw 4 percent to cover your bills, you'll still be safe. This means that same $1 million portfolio will generate you an income of $30,000 per year rather than $40,000. Don't panic if you're nearing retirement and your portfolio isn't close to 1 million or more. This is for planning purposes only. Other factors like your pension, Social Security, royalties, and rental properties will change your calculations. Your expenses in retirement might also be lower than you think. Once your mortgage is paid and your children are earning money, your bills will be much smaller. Your tax rate during retirement might also decrease. The bottom line? Prioritize saving for retirement. Save aggressively through 401(k) plans, Roth IRAs, and other long-term investments like owning rental properties. You'll thank yourself when you're older, as you'll be able to enjoy retirement with more peace of mind.